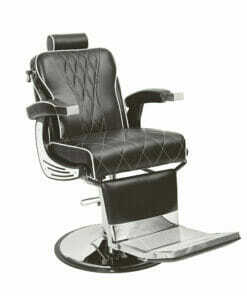 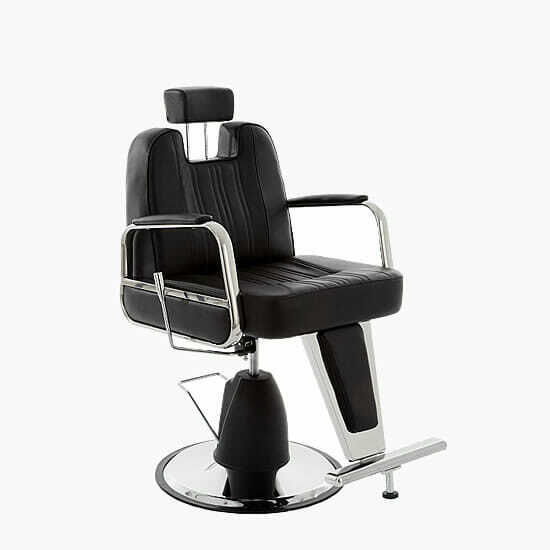 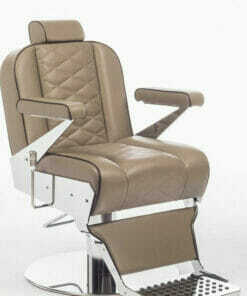 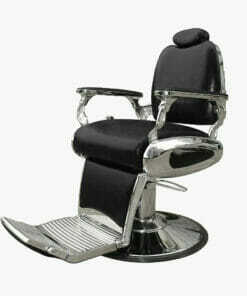 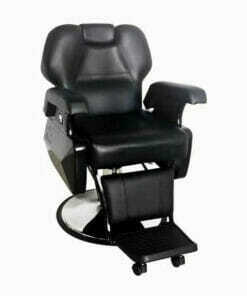 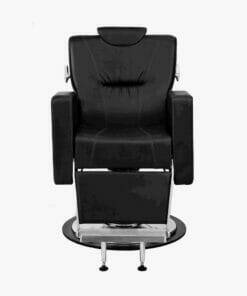 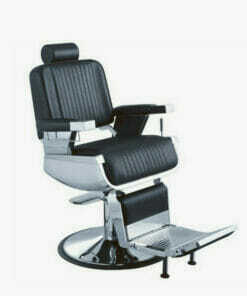 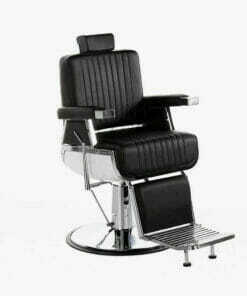 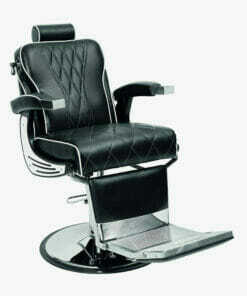 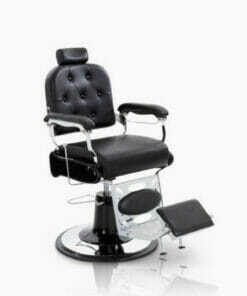 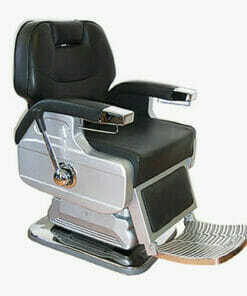 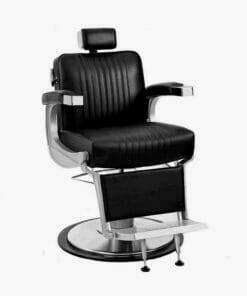 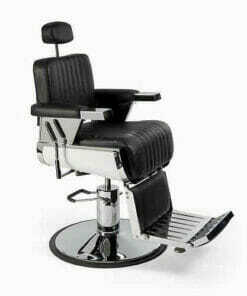 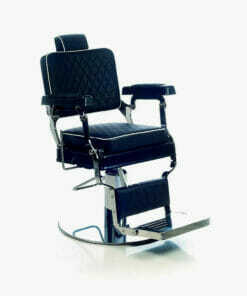 Olympic Barbers Chair, large stylish barbers chair on large steel chrome locking hydraulic base, adjustable and removable headrest, reclining back rest for shaving. 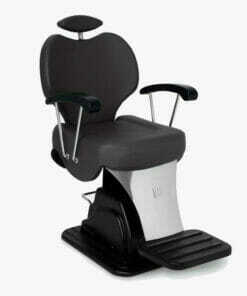 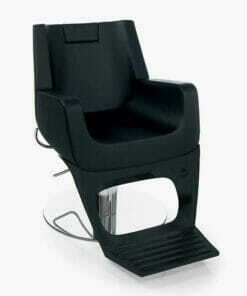 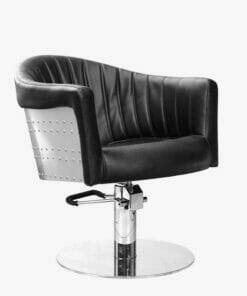 Ideal for barbers or unisex salons. 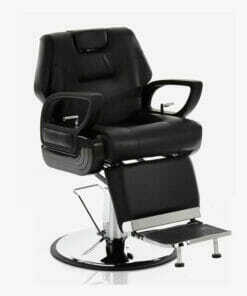 Dimensions width 67cm, height range 54cm to 67cm, depth including footrest 87cm.